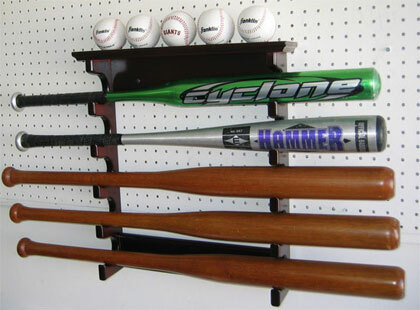 Wall mounted rack which hangs 5 bats and 5 balls. Pit on the top of shelf to prevent the balls from rolling. Made from solid wood. Metal Brackets on the back for hanging. Easy assembly required. Important: The listed price is for the wooden display rack only, Balls and Bats are not included.